Your vehicle will be repaired by the best craftsmen in the collision industry, using the most modern equipment available. 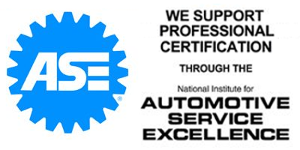 Our commitment to quality does not stop with the automobiles we repair or the people who repair them; it also applies to outstanding customer service. Service that makes us proud. We take special pride in our ability to match factory finishes as the final step in our restoration. Only factory matched finishes from our enviromentaly friendly Dupont waterborne paint systems are used. Detailed attention is paid to paint texture, gloss and hue.